Light to moderate alcohol intake has been associated with both risks and benefits in varying measures. 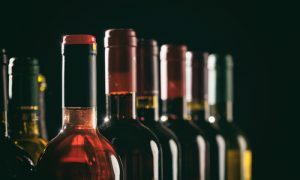 That notwithstanding, the debate on whether patients should cut back on alcohol intake or abstain altogether still attracts differing opinions. Is there any “safe level” of alcohol consumption? Are there any benefits of moderate drinking? What are the risks of moderate drinking? Several studies have been done in an attempt to answer the question, what is moderate drinking? 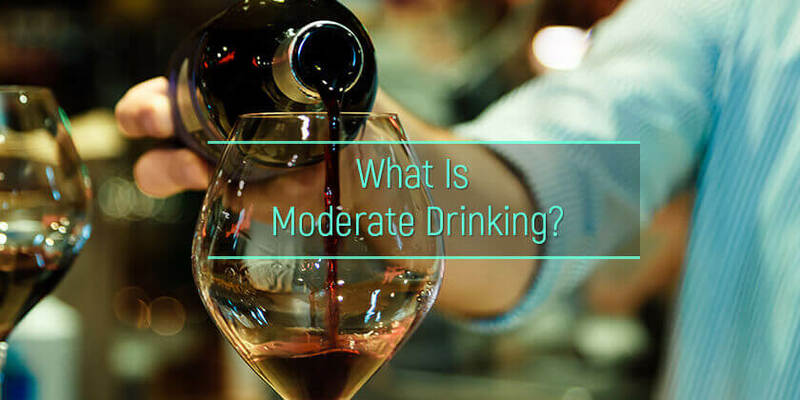 Well, in the scientific community, what is considered moderate drinking translates to one drink per day for women and two drinks per day for men. There is also another perspective in which, moderate drinking is defined as limiting the speed at which one drinks so that the blood alcohol concentration is maintained below 0.55. There are books on alcoholism with general guidelines that can help people looking for ways on how to moderate drinking. However, these guidelines are not a reliable guarantee of safety for everyone at every time. The rule of thumb provides that women should take one alcoholic beverage per day while for men the limit is two. The literature on alcoholism define social drinker on different terms based on the type of drink and by extension the alcohol content. 355 ml of beer with alcohol content of 5%. 150 ml of wine with a percentage alcohol content of 12.5. 45 ml of 80 proof liquor which contains about 40% alcohol. Servings must not be averaged, but rather taken on a per episode basis. For instance, having seven drinks in one sitting and compensating for by not taking a drink for the rest of the week cannot be said to be moderate drinking. Safe drinking can also be influenced by other factors other than the type of drink. Gender Difference – Men drink more than women because of their larger sizes and the fact that they have more water in their bodies. Therefore, their safe levels are higher. Biological and Physical Factors – People coming from a family history of alcoholism are at a much higher risk of alcohol dependency and hence the safest option for them is to abstain from alcohol altogether. Medical conditions also affect safe levels. Psychological Factors – Individuals with a personal history of alcoholism or substance abuse or those under treatment for alcohol addiction, have lower safe levels of drinking. Determination of a safe level of drinking, therefore, must be done in full consideration of all the above factors together with the dietary guidelines. What is a moderate drinker based on one set of safe level conditions may change following a shift in the underlying factors! There are lots of reasons out there why alcohol should be avoided under all circumstances. Well, while this may have its own set of arguments, there are also proven benefits of moderate drinking worth considering. Lowers the Risk of Cardiovascular Diseases – A study by the School of Public Health at Harvard University established that moderate drinking raises high-density lipoprotein levels also known as good cholesterol. This is linked with protection against heart diseases. Moderate Alcohol Lengthens Life – The Catholic University of Campobasso found in a study that drinking moderately for both men and women reduces the risk of death by about 18%. The drinking should be done during meals. Common Cold – People who drink moderate, may experience a reduced risk of developing a common cold. The study was done by Carnegie Mellon University under the Department of Psychology. It was linked to the antioxidant properties of wine. Better Sleep – Alcohol induces sleep. Upwards of 20% of American adults rely on alcohol to help them fall asleep. Although there is a thin line between taking a sip before bed once in a while and alcohol addiction. It is advisable not to use spirits as a sleep remedy. Decreases Chances of Dementia –According to a study by the Loyola University Chicago, one of the effects of moderate drinking is toughening up brain cells thus making them resilient to major stresses down the road. This reduces the likelihood of developing cognitive impairment that often leads to conditions such as dementia. While the benefits above are certainly commendable, the risks often outweigh the advantages. For instance, drinking rubbing alcohol even in moderation can be life-threatening. Alcohol Reduces Rapid Eye Movement Sleep – Ninety minutes after falling asleep, the rapid eye movement phase kicks in. Alcohol intake even in moderation can disrupt this stage thereby causing poor concentration and daytime drowsiness. Reduced Muscle Endurance – When taken 48 hours before training or competition, alcohol reduces the body’s ability to produce blood sugar. This means less energy and endurance capacity which in turn affects performance. Adds Empty Calories – Since alcohol provides calories to the body, these calories contain minimal nutrients. If the alcohol is taken with mixers such as soda or fruit juice, the calorie count spikes thereby making weight management difficult. Poor Judgment – Whatever the quantity of alcohol a moderate drinker takes, judgment often shifts giving a lesser than effective output. Experts on the subject of alcoholism often cite a thin line between the definition of moderate drinking and binge drinking. For instance, it becomes easy to tell when a person has had one drink, but as the upper limit of moderate drinking is stretched, sobriety is lost, and chances of plunging into binge drinking are high. This, in turn, poses the question, is moderate drinking healthy? Whose answer is highly debatable. The reason why moderate drinking may pave the way to alcoholism is that the underlying factors may be emotional or associated with coping mechanisms. This cognitive angle to moderate drinking may push a drinker towards alcoholism. There seems to be a tipping point after which moderate drinking can no longer be controlled and drives the drinker right into alcoholism. With long-term drinking even on moderate terms, the brain physiology is affected by creating long-term alcohol dependence. Problem drinkers, on the other hand, have their brains and bodies craving for alcohol and just a sip of alcoholic beverage after abstinence is enough to send them into another cycle of alcohol abuse and health problems. Therefore, even putting them on a moderate drinking program may not help much. Alcoholism can be diagnosed through medical tests. However, the patient must seek treatment in good time as an extended drinking problem can be damaging both mentally and physically. There are several ways on how to help an alcoholic that doesn’t want help. All these can be explored in a typical alcohol abuse treatment center. There are professionals ready to help in cutting back alcohol intake or quitting for good through therapy and safe drinking tips.